Every project is unique; Our knowledgeable and extensively trained staff will help you choose a design that not only works best with your art or special memento, but one that also compliments your room, your personality and your style. Your special piece of art or family memento is safe and never leaves our site as all work is conducted on site. 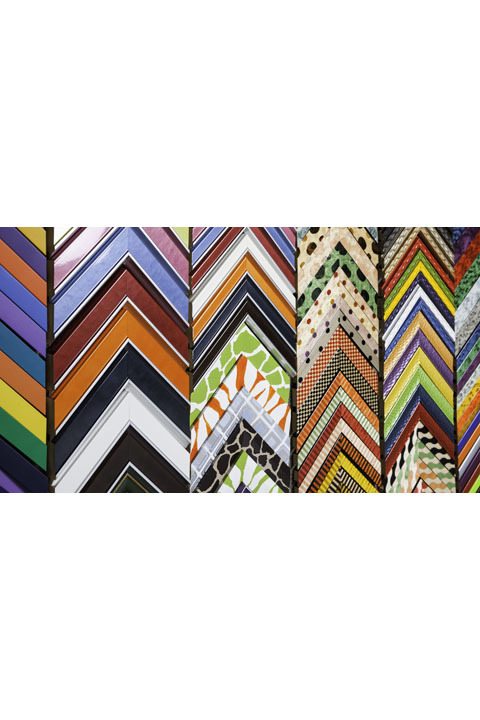 Our staff of experts are ready to serve you no matter what your framing need with over 40 combined years of gallery, museum and framing experience. We specialize in custom framing. We offer the finest and most comprehensive selection of frames and mats available in the industry. Valuable or fragile artwork requires special handling and framing. We carry a variety of conservation materials including acid-free archival matting and UV-filtering museum glass. Our framing consultants are well versed in the latest art preservation techniques and can recommend the best materials to protect your artwork for years to come..
We have a large selection of fine art prints and limited edition prints available. In addition we can hand embellish that special art image for added dimension and uniqueness. Valentine Designs is your one stop location for your restoration and repair needs. Please call us for details on these services. Expert delivery, art handling and installation available in Palm Beach and Martin Counties. If you can picture it we can find a way to frame it and create a unique and wonderful piece.